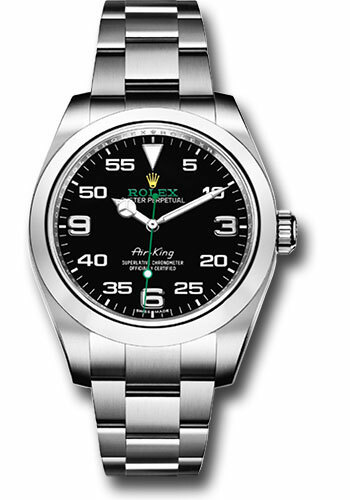 40mm stainless steel case with internal magnetic shield to protect the movement, smooth bezel, black dial, large Arabic 3 6 and 9 hour markers in white gold, white transfer minute numerals, automatic superlative chronometer movement, approximately 48 hours of power reserve, Oyster bracelet with solid links, folding Oysterclasp buckle with Easylink 5mm comfort extension link. Waterproof to 100 meters. Introduced at Baselworld 2016.